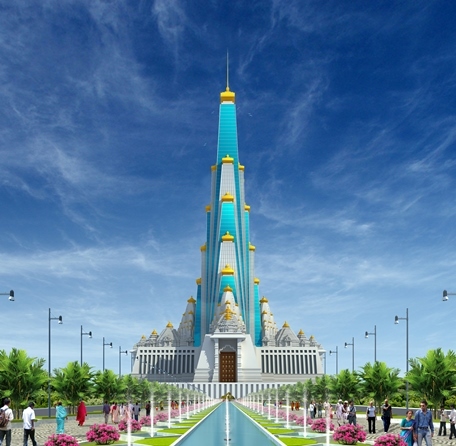 VRINDAVAN/MATHURA: A 210-metre-high temple is soon going to change the skyline of Vrindavan in Mathura district. 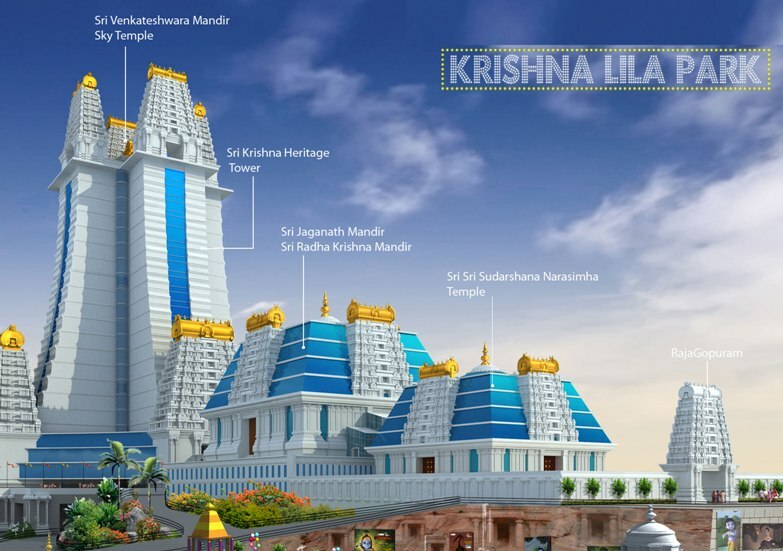 The project, whose foundation stone will be laid on March 16, has been conceived by Madhu Pandit Dasa, president of ISKCON, Bangalore, and will consist of a grand temple of Sri Krishna at its centre and many other interesting elements around it. 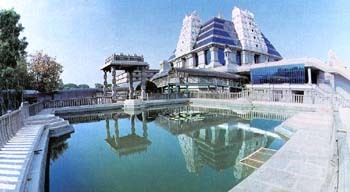 Poised to be the tallest and largest religious structure in India, the monumental temple, named the Vrindavan Chandrodaya Mandir, with a footprint of about four and a half acres and a built-up area of 540,000 square feet, will integrate elements of modern architecture with traditional Indian temple architecture. Even though this is old news, still we are posting this because the image of His Holiness the Dalai Lama of Tibet placing a flower garland around the neck of Srila Prabhupada, at the ISKCON Bagalore center, is so beautiful. The Dalai Lama is a generous and compassionate human being, an inspiration to all spiritual seekers, and is a world ambassador for peace. Bangalore, June 05, 2013. His Holiness the Dalai Lama – the spiritual leader of Tibet paid a visit to the Radha Krishna Chandra temple at the International Society for Krishna Consciousness (ISKCON) Bangalore, Rajajinagar as part of a cultural exchange inititiative. His Holiness the Dalai Lama, while at the temple, said he was impressed by the peace and tranquillity that encompasses the holy place and added that the mission of this non-sectarian movement in promoting the well being of society by teaching the science of Krishna Consciousness is admirable. 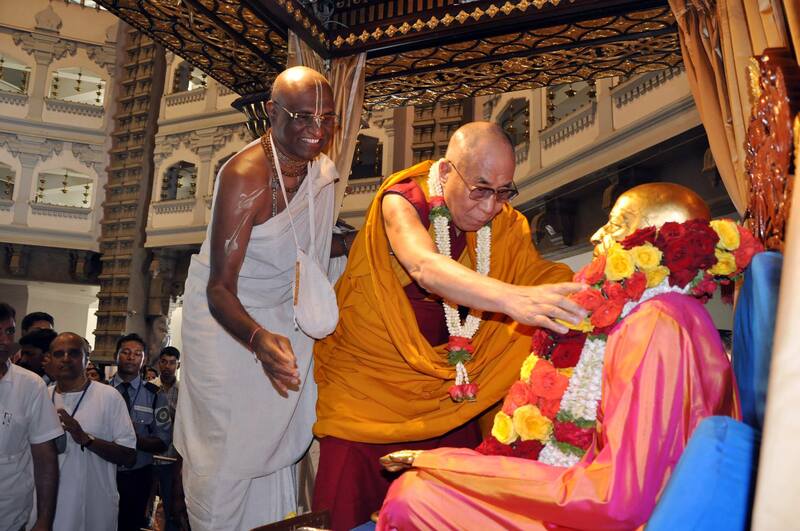 His Holiness Dalai Lama was welcomed by the Temple President Shri Madhu Pandit Dasa. After a brief visit to the main shrine of Shri Radha Krishna Chandra, His Holiness interacted with Shri Madhu Pandit Dasa on the need for spirituality, compassion and the role of spirituality in moulding the behavior and thoughts of youth. The discussion also dwelt on the importance of promoting world peace and compassion. 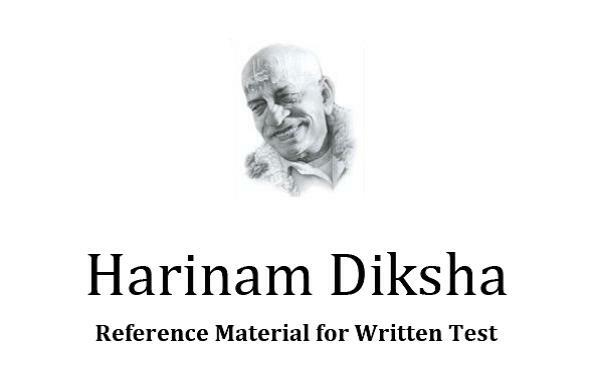 I	Theological issue: Who is the Acharya of ISKCON who will give diksha (initiation) to all the devotees of ISKCON? ISKCON-Bangalore’s Position: Srila Prabhupada shall remain the Acharya of ISKCON and continue to give diksha and guide all devotees in ISKCON to the abode of Lord Sri Krishna. 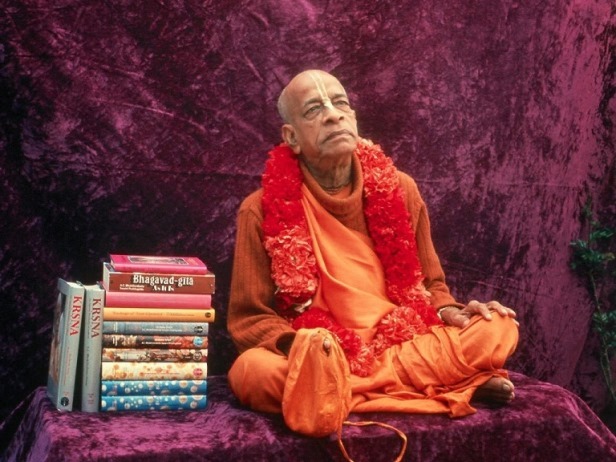 ISKCON-Mumbai’s Position: Since Srila Prabhupada is no more physically present, one should take diksha from one of the present ISKCON gurus. II	Who owns the Sri Radha Krishna Temple property on Hare Krishna Hill in Bangalore? 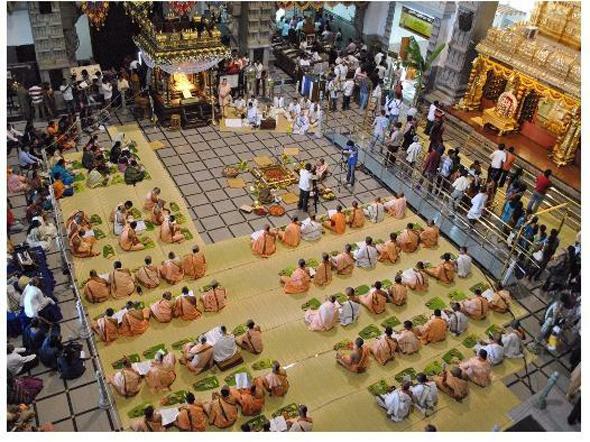 Is it ISKCON-Bangalore society or ISKCON-Mumbai society? 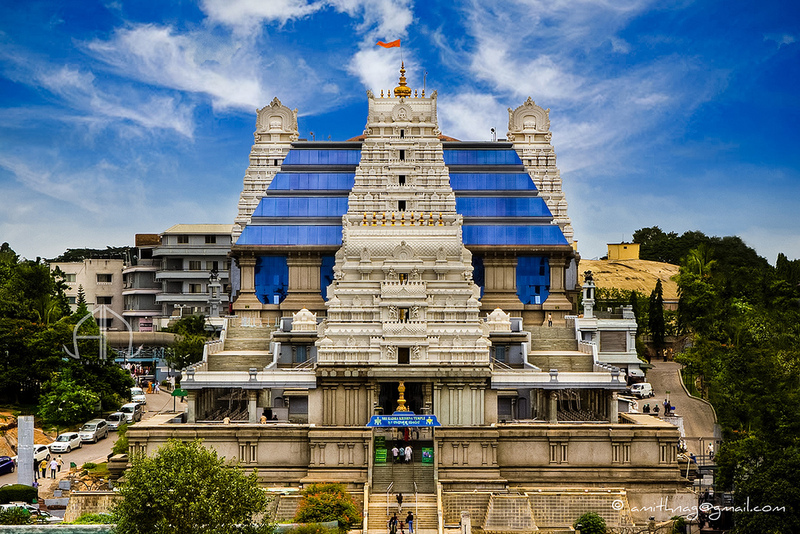 III	Who shall manage Sri Radha Krishna Temple property on Hare Krishna Hill in Bangalore? 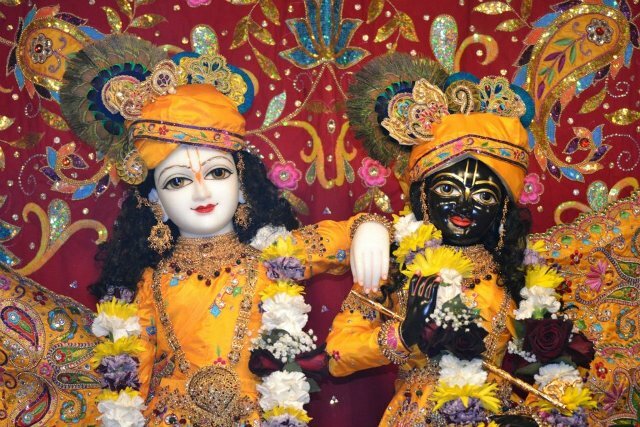 Is it ISKCON-Bangalore society or ISKCON-Mumbai society? The suit schedule property, Sri Radha Krishna Temple on Hare Krishna Hill, Rajajinagar, Bangalore, being a public temple and a immovable property which cannot be sold or mortgaged or encumbered in any manner in the process of managing the same, the real issue is to determine the permanent structure of management of this Sri Radha Krishna Temple property, on Hare Krishna Hill, Rajajinagar, Bangalore, hereinafter referred to as the Temple. 1. 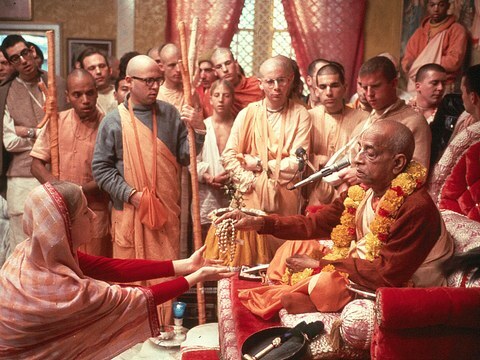 System of initiation (diksha): the irrevocable and only system of initiation practiced and preached in the Temple shall be as per July 9th 1977 directive of Srila Prabhupada. According to this, Srila Prabhupada is the Acharya and all devotees of ISKCON shall be disciples of Srila Prabhupada. News update on the Battle over ISKCON Bangalore. Very sad to see so much time and energy is being wasted in trying to stop a successful preaching mission, that is promoting Srila Prabhupada and the Sankirtan Mission of Lord Caitanya Mahaprabhu. 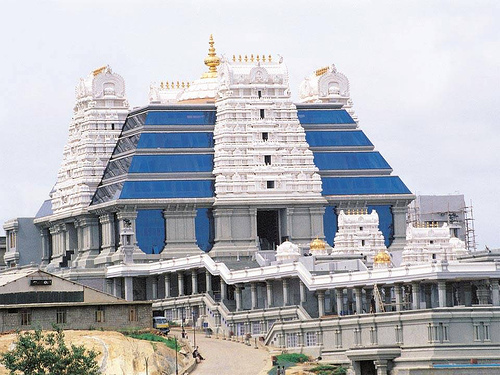 ISKCON Bangalore to continue management of the temple on Hare Krishna Hill. 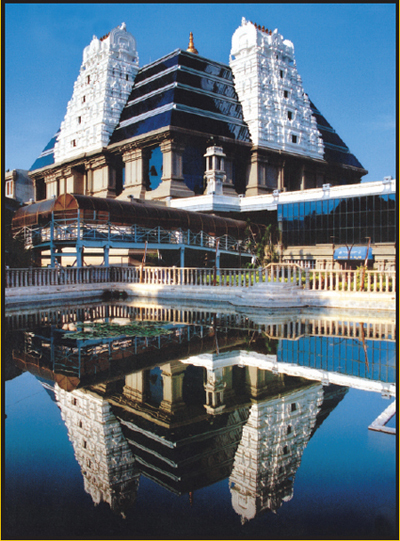 For transparency a committee headed by Justice Raveendran will oversee and advice the management of the temple ISKCON Bangalore and ISKCON Mumbai have been litigating for the past twelve years about who owns the famous ISKCON temple on Hare Krishna Hill in Rajajinagar, Bangalore. The Supreme Court bench consisting of Justice Altamus Kabir and Justice Cyriac Joseph had given a status quo order on July 5th 2011 allowing the plaintiff society (ISKCON Bangalore) to continue management of the affairs of the temple till further orders. In response to this, ISKCON Mumbai filed an Interim Application appealing to vacate the status quo order and to permit a Supervisory Committee of ISKCON Mumbai to supervise the affairs of ISKCON Bangalore temple. The Supreme Court bench consisting of Justice Altamus Kabir, Justice Surendra Singh Nijjar and Justice J Chalameswar heard this interim application on Dec 14th, 2011 and declined to vacate the status quo order and disallowed the Supervisory Committee of ISKCON Mumbai. 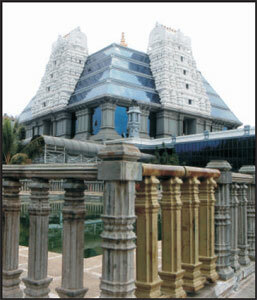 The bench confirmed that ISKCON Bangalore shall continue to oversee the affairs of the temple on Hare Krishna Hill. And for the sake of transparency and to oversee and advice the management of the temple, the bench ordered formation of a committee headed by the retired Supreme Court judge, Justice Raveendran. The committee will also consist of one representative from ISKCON Bangalore (Stoka Krishna Das) and one representative from ISKCON Mumbai (Ananda Tirtha Das). The bench also ordered that the case should be heard for final disposal on February 16th, 2012. “We welcome this order of the Supreme Court and extend full support to the Committee,” said Madhu Pandit Das, President, ISKCON Bangalore. At the end of all events, one of the visitor remarked, “A great work has been accomplished.” But we would consider, the work has just begun. By the mercy of Srila Prabhupada, and with the blessings and good wishes of all Vaishnavas, we were able to inaugurate our newest branch of Srila Prabhupada’s temple here at the heart of Silicon Valley, in Sunnyvale city, California, on the 29th October 2011, with the installation of the Deities of Sri Sri Krishna Balarama, Sri Sri Gaura Nitai and Srila Prabhupada. This also happened to be the Disappearance day of our most beloved spiritual master, His Divine Grace A C. Bhaktivedanta Swami Srila Prabhupada. 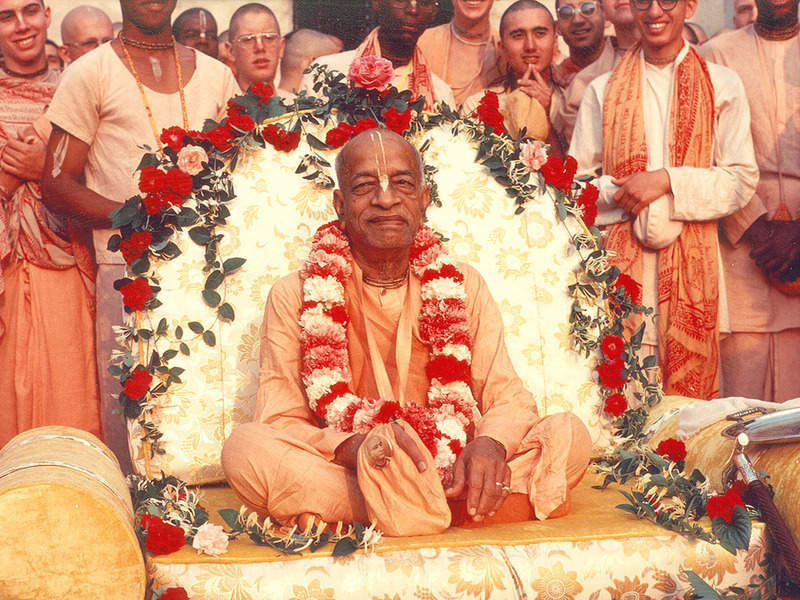 It was a fitting tribute to Srila Prabhupada on his disappearance day. The India Heritage Foundation center at Sunnyvale, California, observed the gorgeous installation ceremony of Sri Sri Krishna Balarama on Saturday, 29thNovember, 2011. 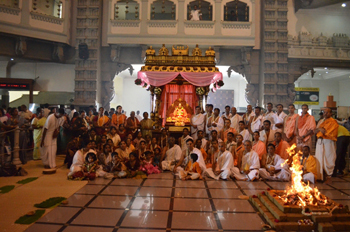 The ceremony was marked with the abhishekam of Sri Krishna Balarama, Sri Sri Gaura Nitai and Srila Prabhupada deities. Hundreds of devotees assembled to witness this rare event. Amongst the devotees present were Sri Yashodanandan Dasa, senior Iskcon devotee, along with Sri Chanchalapathi Dasa and Sri Sridham Krishna Dasa from Srila Prabhupada’s Iskcon Bangalore. At this critical juncture of the tussle between ISKCON Mumbai and ISKCON Bangalore, I together with the devotees here in Malaysia, pledge support for His Grace Madhu Pandit Prabhu and the devotees of ISKCON Bangalore. 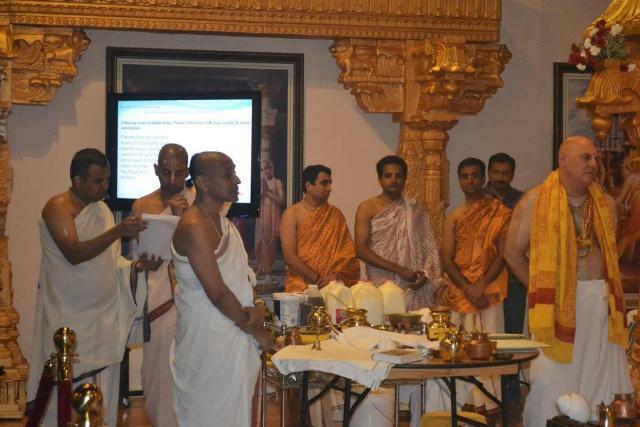 Knowing only too well the many similar tribulations experienced in Malaysia over the last decade, it is obvious that the same demeaning tactics magnified manifold are at work to disrepute the good work accomplished by the devotees of ISKCON Bangalore. It gives me much grief to see what appears to be a concerted effort by the ISKCON GBC to smear the good name of His Grace Madhu Pandit Prabhu whom I have had the fortune to know personally since 1999. His association has been a stark contrast to that of the thuggish bogus gurus whom I have had the misfortune of encountering in my early association with ISKCON. Having understood and accepted the authentic position of Srila Prabhupada as the sole diksha guru for ISKCON through contact with other like-minded devotees and evidence related to Srila Prabhupada’s books on Guru tattva and the principal documents pertaining to the process of initiation such as the May 28th conversation, July 9th letter and the Official Will, my team of devotees initially faced an uphill task of disengaging ourselves from the deviation-ridden GBC-led setup in Malaysia. We have faced both direct harassment and indirect plots to undermine our existence since 1999. 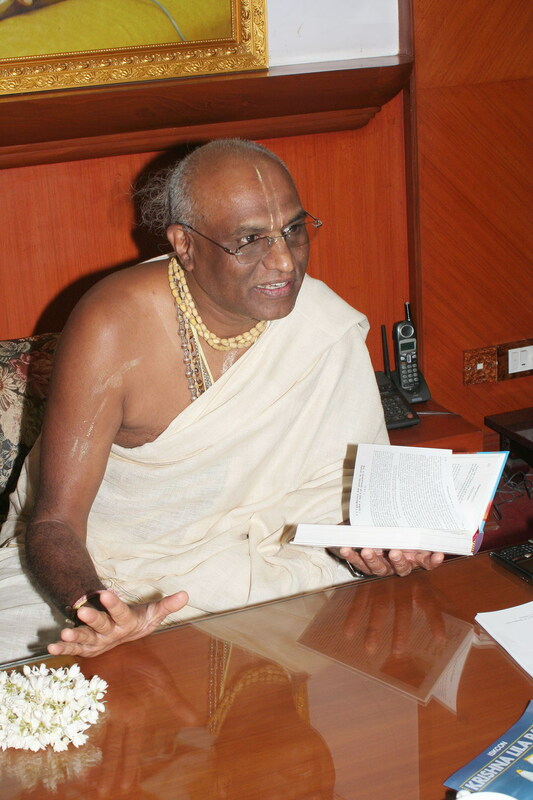 We are willing to settle and handover the control of ISKCON Bangalore society registered in 1978 if the above ISKCON Law (ISKCON Law 6.4.7.2) is rescinded and it is openly declared that Srila Prabhupada is the only Acharya of ISKCON and that no one else should accept disciples within ISKCON. Any further discussions on the peace proposal can be worked out provided these facts are first accepted by ISKCON Mumbai. Only based on this first step can any peace or settling of issues can make meaningful progress. We got to know through media sources that ISKCON Mumbai’s Bureau members conducted a press conference today and claimed that they are willing to settle the dispute between ISKCON Bangalore and Mumbai as per the Supreme Courts’ desire. We are sending this clarificatory press release so as to present the actual facts of the matter. We wish to place on record that ISKCON Bangalore was the first to offer a peace proposal, we had offered peace proposal as early as 4th of February 2009. This peace proposal was given just before City Civil Court pronounced its verdict that ISKCON Bangalore registered in 1978 is an independent society and that ISKCON Mumbai registered in 1971 should not interfere with Bangalore’s affairs. This proposal was categorically rejected by ISKCON Mumbai. The proposal was sent in writing you can view the same by going to the following link: http://www.iskconbangalore.org/sites/default/files/Krishna-Voice-July-2011.pdf (page 48).